Looking for a fresh design for a vertical cabinet? 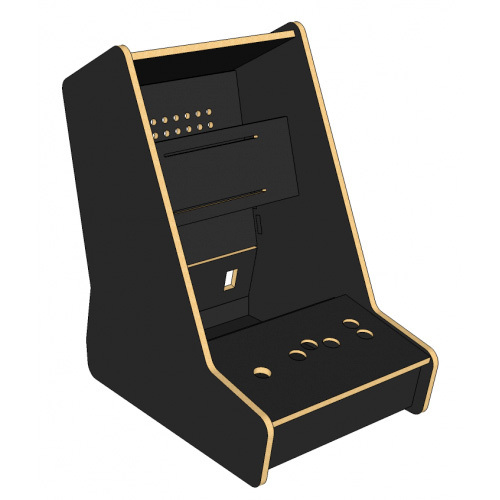 This was modeled after the popular Ultimate Widescreen kit, to provide a sleek cabinet with modern SHMUPS in mind. Kit can fit a 22" widescreen LCD monitor comfortably. Control panel is set up for 1 player and was created with Sanwa controls in mind for excellent precision. This kit also makes use of hidden barrel hinges and magnet latches to attach the control panel. Barrel hinges (x 2) and magnet latches (x 2) included!